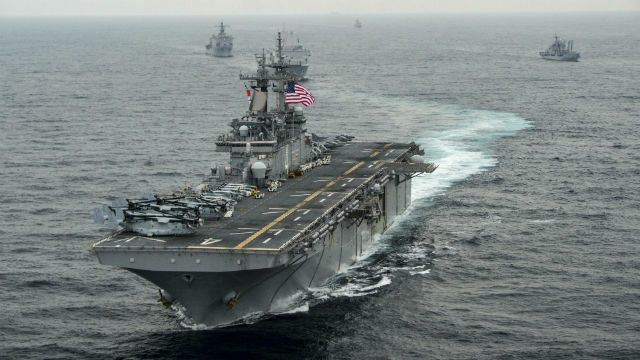 The San Diego-based USS Boxer Amphibious Ready Group and 13th Marine Expeditionary Unit are participating in an international amphibious exercise off the east coast of South Korea. The exercise Ssang Yong, which means “twin dragons” in Korean, involves naval units from South Korea, Australia and New Zealand. The international force will conduct a simulated amphibious assault along beaches in the vicinity of Pohang. Some 9,200 Marines, 3,100 U.S. Navy sailors, 4,500 Republic of Korea Marine Corps, 3,000 Republic of Korea Navy members, 100 Australian Army soldiers and 60 Royal New Zealand Army members will participate in the exercise.